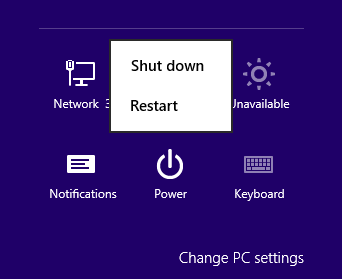 To shut down Windows 8 you need to use the Power option under Settings from the right hand Windows 8 charm. 1 – Open the right hand Windows 8 charm by moving your mouse to either the top right or bottom right corner of your screen/monitor. 3 - Click on Power. 4 - Click on Shut down. There's an easier way to shut down windows 8 by using the keyboard. 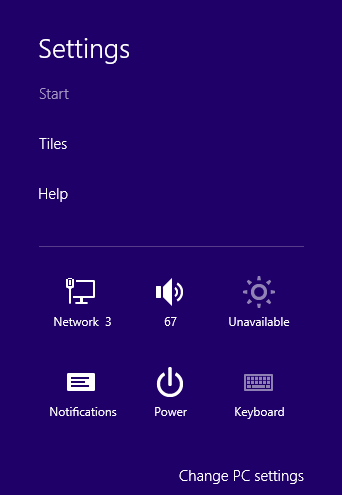 If you hold down the Windows key and then press i - this will take you straight to the settings option within the Windows 8 Charms. All you have to do then is click on Power and then Shut down.